What I love about this as a way of framing an assignment is it changes the energy of the challenge from task (5th time around might feel sisyphean) to adventure. This may seem like a naive takeaway, but energy is everything in a biz whose main indicator for success is loving how a sweaty brain makes you feel and having the resilience to sweat it over and over again. I really love the way you framed your thoughts and questions. I agree with every one of your 2 cents. We just want the problem. Allow us to give the happy ending. Can you give an example of how “the wall” would be worded on a brief? 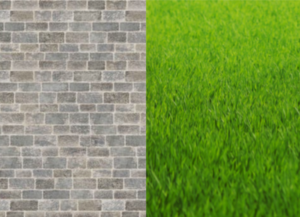 How specific is the ideal wall? “We need a 30 second broadcast spot that convinces well-off older folks that our free shipping is better than the other sites they’re using. They don’t want to switch because they already trust Amazon, but we’re better for x, y, and z reasons.”? Well-stated, Luke. I always enjoy your insights. I’ve shared your book with every creative co-worker I know. Would love to have you speak at our agency someday. Luke, I am a great admirer of your work. But in this case I do not share your opinion. You expect product managers to be creative or at least think like creatives. In very rare cases they do, but usually they don’t. I am pretty sure the wall is part of creation, not part of the briefing. One of my ACD’s used to look over the briefs given to us and practically yell, “What’s the problem?” because he thought that was where we needed to start our brainstorm. It can be very helpful if the problem is spelled out on the brief, but in my experience, many on the account side have a hard time narrowing it down.